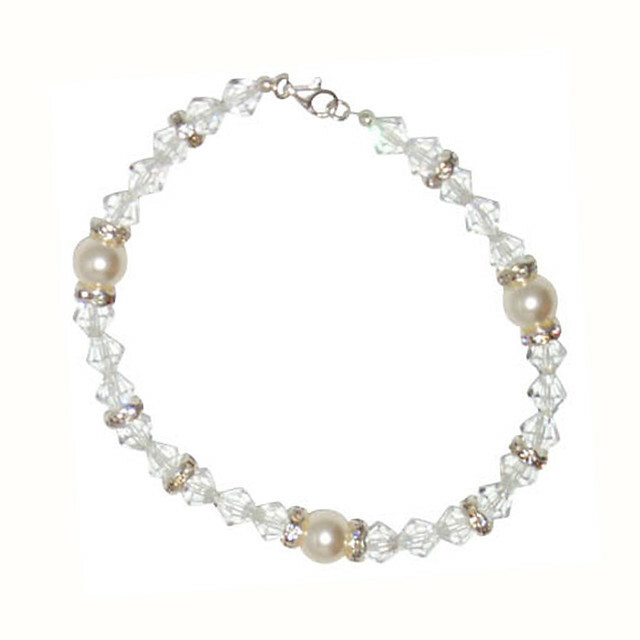 Crystal pearls and Swarovski crystals form this bridal bracelet. There are also little crystal rondelles spaced throughout the design and was designed to go with the Divine 1 headband and other jewellery in the Divine range. The length of this bracelet is 6.5inches with a 2 inch extender.